Of course my earliest memory of you is in your kitchen, the place where many of our insightful conversations took place. The place where you told me it was great to be intelligent, but I also needed to know how to cook. The place where I trained and became a chef in my own right. The place where love and nurturing took place for all who passed through the threshold of your home. Words aren’t adequate enough to express how much I miss you and wish you had lived long enough to see me produce your namesake, however as we celebrate the centennial anniversary of the founding of Delta Sigma Theta Sorority, Incorporated; I can’t help but to reminisce about you. As I remember the countless times I helped you deliver food to the elderly through the Meals on Wheels program, the countless clothing drives I assisted with at the church, or the times when you proudly strutted up to the voting booths; I never realized you were showing me the prototype of a woman of Delta and for what she stood and represented. I definitely can’t forget the times I would become angry at you when those women came to the house and I wasn’t allowed in the kitchen while you all did what I called the A E O (pronounced phonetically) work. I didn’t know what the heck that funny looking A E O meant, couldn’t figure out who would incorrectly write the alphabet and why they would do something like that, and didn’t even realized the letters weren’t A, E, or O; but I knew I wanted to become one, as these were the women I always saw doing the work in the community. As I became older, I noticed many of my teachers were A, E, Os. Even a principal who paddled me often was one (back then we were given discipline in schools). 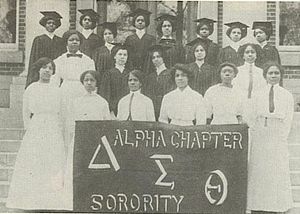 I remember seeing a program for an event and learned the name was Delta Sigma Theta (I still couldn’t put together where the letters A E O came from–lol) and listed on the program were names I recognized from various schools, churches, and other businesses. WOW! This was an amazing group of women! You never answered any of my questions about this group and now I understand why. 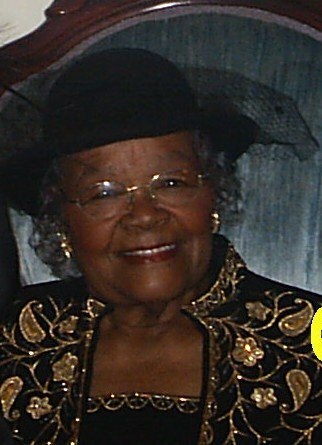 You showed me who a Delta woman was through your work in the church, home, community, and through your work as a special education teacher. Thank you for letting me visit your classroom and teaching me that all children were beautiful, despite what the world thought of them. Even when the school placed you and the children in the basement because they didn’t think much would come of those children; you created an environment that not only incited learning, but it was a warm, nurturing and exciting place to be–I’ve never seen children so happy to be in a basement! I even wished I had class down there! You taught me creative ways to teach others. Amazing how that all works out. Thank you for teaching me about Christ. Lord knows there are countless times throughout my life I wouldn’t have made it through without Him. I feel so honored to have ever been in your presence because you taught through example. As few as they may have been, your words were always powerful, however soft. They also were cryptic, as you wanted me to seek knowledge instead of it being handed to me. You had a quiet passion that could erupt if provoked that let the entire room know you meant business!!! Thanks for showing me the many facets of womanhood. You didn’t let the times in which you grew up hinder you from becoming what God intended for you to be and while Delta was only one part of your life; I appreciate having an example that the mission is bigger than the aesthetic and fun privileges of the organization. As we celebrate 100 years of Sisterhood, Scholarship, and Service; it is most appropriate I send up a shout out to the first Delta I’ve ever loved!